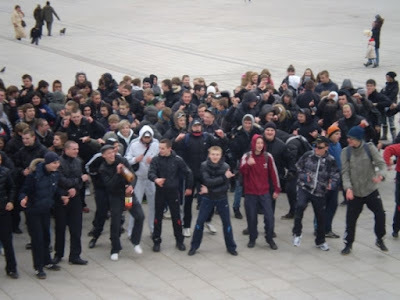 Hard Bass Crew is the first international community supporting hard bass, a new style coming from Russia and played by some dj’s around the world. Hard Bass Crew is now supported by all the main hard bass team and best hard bass producers all over the world. We promote Hard Bass on all legal website with our label HARD BASS CREW RECORDS. But everybody can send his own dj mix / remix or original track directly to the group HARD BASS NEWS on Soundcloud. With HARD BASS CREW WORLDWIDE TOUR you can contact any club to organise the first hardbass festival in your country with the best hardbass producers/dj’s. Power is in your hand ! Most important is to be the first !